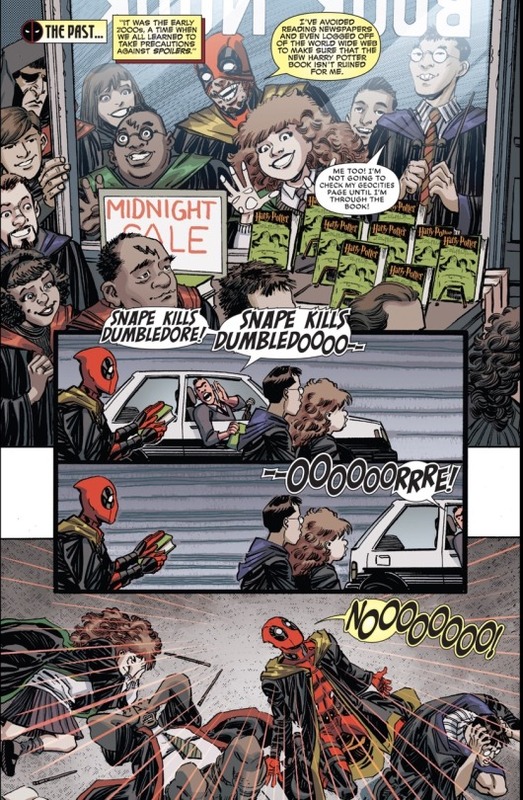 Marvel has spoken and Deadpool is officially a Hufflepuff. Yep, there’s no two ways about it: the superhero has been sorted into his Harry Potter House and that’s final. How do we know? Well, an eagle-eyed fan found a strip from the comic showing Deadpool decked out in a robe. He’s reading as he walks along, only to be told one of the biggest spoilers ever. As he recoils in shock, hurt, upset, anger (literally every emotion is needed for this particular plot point) it’s clear he’s wearing yellow-trimmed Hogwarts robes. And this is no accident. Joining the Reddit thread that first brought attention to the robes, comic colourist Nick Filardi explained how the editors had made him change it from the original Gryffindor colours he’d chosen.